Safety Harbor City Commissioner Janet Hooper resigned her position on Monday in order to run for mayor in the city’s upcoming municipal election on March 14, 2017. Safety Harbor City Commissioner Janet Hooper resigned her position on Monday in order to run for mayor in the upcoming municipal election on March 14, 2017. The move leaves Hooper’s Seat 1 open, along with incumbent Carlos Diaz’s seat 4 as well as the mayoral position. Last week, Mayor Andy Steingold announced he would not seek reelection, while former mayor and city commissioner Joe Ayoub declared his mayoral candidacy before Thanksgiving. 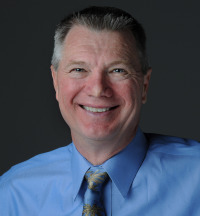 Hooper, the longtime director of the Mattie Williams Neighborhood Family Center, was to elected to Seat 1 in March 2015. Earlier this year, she was cleared of any conflict of interest by a state ethics commission following a lengthy investigation after a complaint was lodged regarding her dual positions as director of the center and elected city official. 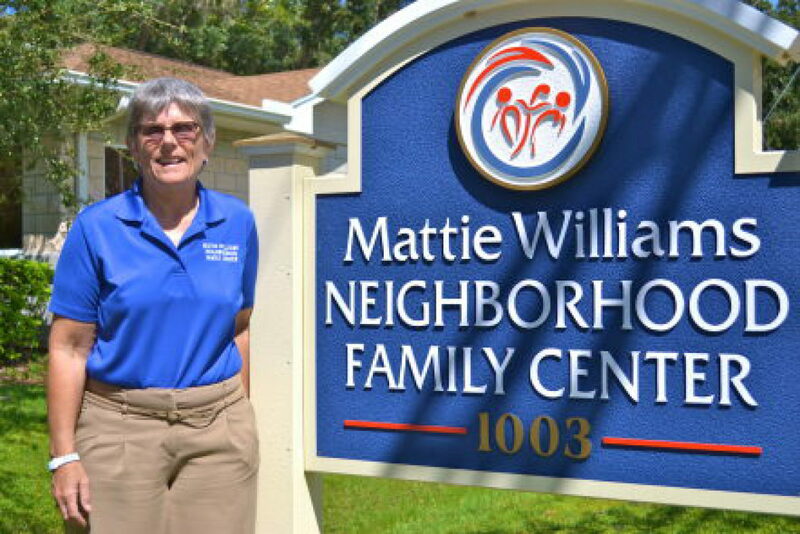 The nonprofit Mattie Williams Center regularly accepts funding from the city, including $45,000 in outside agency funding, as well as proceeds from many special events, including Third Fridays, the Safety Harbor Wine Festival and others. 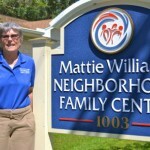 Commissioner Janet Hooper serves as director of the Mattie Williams Neighborhood Family Center. Safety Harbor Connect reached out to Hooper for comment on her resignation, but did not hear back from her prior to the publication of this article. Former Safety Harbor mayor and commissioner Joe Ayoub. Also, four potential candidates have expressed interest in running for one of the two open commission seats. They include former City Commissioner Nancy Besore; code enforcement board member Damon Lister; longtime city board member Scott Long; and local photographer Kamran Malik. City officials note these potential candidates could run for either of the two open seats, as could Douglass and/or Boozarjomehri, or they could decide to not to enter the race. The candidate qualifying period begins after noon on Friday, Jan. 3, and closes before noon on Friday, Jan. 10. Stay with Safety Harbor Connect for continued complete coverage of the 2017 municipal election. Stop all the vile outsiders and ugly homes! I post and comment regularly on Safety Harbor Connect under my full name. Desanya comments ofter, always identifying herself. Trust me, Shelly Schellenberg, member of the City Code Enforcement board and the the voice of hate, when we have something to say, you know it’s from us. You truly do not have a clue about the town you claim to protect. You only know anger and hate. It is sad that you, as an attorney, exhibit such a low level of ethics, passing along untrue assumption as facts. Wow Shelly, you sound like such a great neighbor…..not! You win the good neighbor award. Friendly, welcoming, giving……Wear it with pride! I look forward to filing for Seat #1 as soon as the City Commission puts it on the ballot, and helping the residents of the city I love find common ground so we can move forward together! Janet Hooper’s No. 1 supporters are Saving Safety Harbor, the divisive Facebook page operated by City Code Enforcement board member Shelly Schllenberg and husband David Riggel, a City Zoning boards member. Their chief helper is Sharron McAuley, also a member of City Code Enforcemment. Saving Safety Harbor has encouraged its folllowers to harrass and insult new residents who built new homes in this community. Their current No. 1 target is the new Iron Age Homes. Here is a first-hand story, heard this morning while stopping to chat with a lovely and warm woman who is building a new and downtown home but willl never move in. Breaking into tears while telling the story, she is putting the beautiful, new home up for sale because of hate-spewing, threatening notes and insults have been left at her home. There’s also the case of strangers coming onto the property to harrass her 80-year-old mother during a site visit. So a wonderful family, who chose Safety Harbor as a place to put down roots, is moving before ever getting its dream home completed. They say the decision came mainly because they do not feel safe here. I also heard about other Iron Age hate missions aimed at neighbors. One family “willl not come out of their house because they don’t trust strangers.” Another has had people walk into their garage to insult them and their home. These acts are shameful and an embarrassment too this community. And they are being fueled by the loudest supporting voice of city leaders Janet Hooper and Andy Zodrow. Again, i challenge any and all candidates for this spring’s Safety Harbor City election to condemn and disavow Saving Safety Harbor before its shameful and disruptive hate speech destroys Safety Harbor. This whole distasteful tale is sickening. it’s the lowest of low points for Safety Harbor. And this group of haters actually has influence (serving on city boards and owing the ear of elected officiials) that directs this community. Safety Harbor, please. There are too many good people here for the reputation of Safety Harbor to be soiled so badly by a band of haters. Stand up for Safety Harbor. It is our responsibility as owners and residents of Safety Harbor to ensure that all neighbors are welcome here. I so feel the pain of children when I hear of the bullying that goes on in the schools and internet social sites. I now know where the children who bully get it, children live what they learn and grow to become the very bully’s themselves. It is so sad that as adults we can not learn from our past as children. The fact that the City of Safety Harbor seems to allow and almost encourage this activity makes my stomach turn. The fact that they discuss this very issue with the children of our local schools just seems hypocritical. I guess the whole lead by example went out the window with careful thought on how this beautiful city of ours should move to the future. I agree with you Mick, that type of behavior is abhorrent, but what proof do you have that its folks related to SSH? You stated ‘Saving Safety Harbor has encouraged its folllowers to harrass and insult new residents who built new homes in this community. Their current No. 1 target is the new Iron Age Homes’. When and where has SSH suggested people harass and insult new residents? I checked Saving Safety Harbor FB page and could not find anything at all suggesting Iron Age, or any other resident be harassed. Who exactly harassed these people? Shelly, Sharon, David? Did you see them? Do the residents know who the people are that we’re rude to them? I must say, it is really sad, and I am very sorry that anyone has to be insulted, threatened, harassed or bullied. I do not understand, nor can I relate to that type of behavior. They are receiving harassing mail? Did they share that with you? I know for a fact, if that is true, they are not the only ones receiving scary mail, and I saw a letter that was sent, and it wasn’t very nice. Apparently this is a two way street then, and I by no means condone this action either. What is the point? While browsing SSH FB page, I did see videos from commission meetings showing the opposition of SSH, providing their input to the commission. Those are factual. 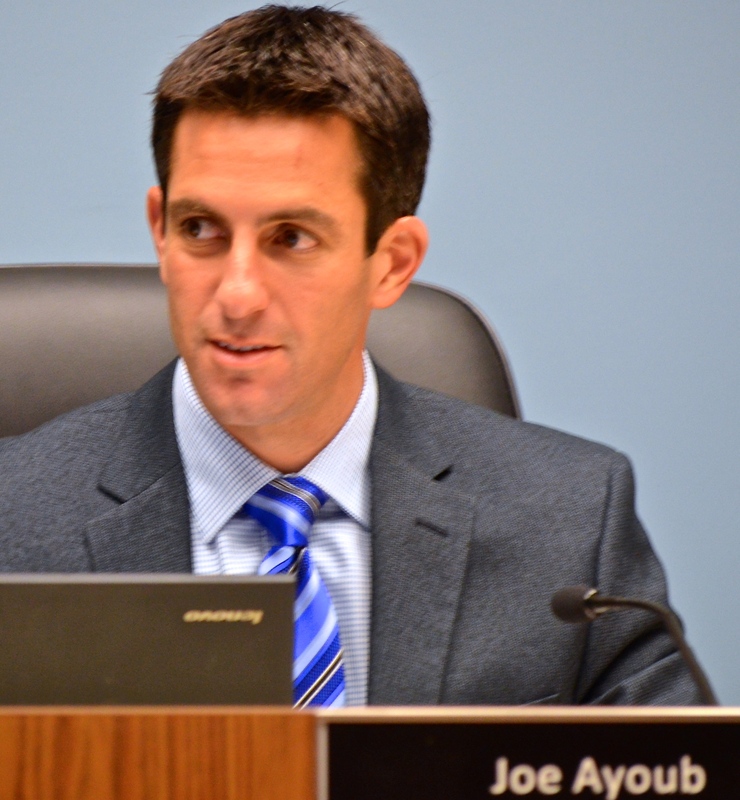 Another post talks about Joe Ayoub checking into the Mayor’s Breakfast from Oldsmar, and not Safety Harbor, and that is a fact. Additionally, there is mention that seems to allude to you and your wife. ‘Their smarminess is a hallmark of their adolescent threats to their neighbors and even strangers who disagree with them’. (Saving Safety Harbor FB). I have no idea if this is true or not, so I will ask if it’s true or not. Have you or your wife harassed, threatened, or bullied your neighbors or anyone else? To be fair, where is the proof that the harassment, threatening letters, and insults are coming from Saving Safety Harbor? I know we don’t all agree, and everyone has their own opinions, which is our right. Why can’t we deal in facts, stay away from personal attacks, and support our viewpoint and candidate(s) in positive fashion? 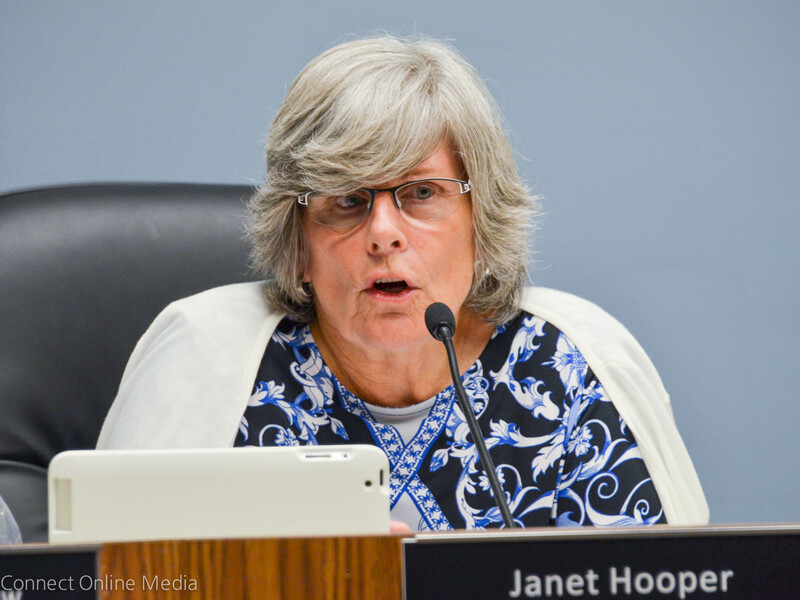 In closing, Janet Hooper has many supporters, not just SSH, and the proof of that was evident at her campaign kick-off at the 8th Avenue Pub on Monday night. So your statement that her ‘No. 1 supporters are Saving Safety Harbor, the divisive Facebook page operated by City Code Enforcement board member Shelly Schllenberg and husband David Riggel, a City Zoning boards member. Their chief helper is Sharron McAuley, also a member of City Code Enforcement’ (Safety Harbor Connect) is not very accurate. Riddler – are you sure you are reading the same SSH Facebook Page? I lost count on how many times my neighbors/friends have sent emails informing me about how this page is at it again – being hateful with one sided truths, vile comments about neighbors, photos of their homes, photos of their families. I have lost count how many times she has berated me and called me names just because I disagree with her about property rights! It is just sad. She is just sad. In fact, there have been several screen shots taken of her negative posts showing negative comments and letting her know the post is being disgusting and hateful to neighbors and she should be ashamed of herself. Those posts disappear and I am sure those people who commented were banned. No one is saying Janet Hooper is being hateful but she seems to condone the conduct since there has been nothing to stop it. None of the city commissioners or Mayor have done anything to stop it. And there have been requests by emails, letters and one on one meetings. Anyone has a right to have a Facebook Page and should be able to say anything they want BUT the fact that all three – Shelly Schellenberg, Dave Riggle and Sharon McAuley are on boards representing the city and ALL of the citizens should not be condoned. Board members serving the citizens should have to abide by an ethical code. Let them have the FB Page, let them say hateful things about someone’s new home but do NOT let them be on a city board. And yes, the people who have been told you are not welcome and your home is ugly do know who is responsible. It has even shocked me. The candidate(s) can say they have nothing to do with the SSH page but everyone knows it is easy to let someone behind the scene do the dirty work while saying “It is not me and I have no control”. Sad, very sad. Mick Thank You for your kind words at my house yesterday. When you saw me I was in tears because a realtor had just shown my home moments before . I went on saving sh fb page last night and I see a lot of things have been erased. To the riddler if you go back to July and August you will see birdseye view pictures of Iron Age., with cute little comments like pass the ketchup neighbor. However I see lots of posts are gone from many months ago. Maby you should click on the many articles on this site an read the nasty remarks as well. A few months ago I posted on the SH FB site and explained how upsetting it is to have so many things posted about our street and the reply from the other end was a picture of an owl that was in a tree that was on my lot before my home was built and my home caused him to have to move. There were other comments back and forth but I see it it all gone. I had never been to safety harbor in my life and innocently bought this home to start over in a new place for my mom after my dad died. After going to one city hall meeting and hearing all the negative remarks I left in tears. More than a dozen people have come up to us to tell us ours homes are ruining safety harbor and are ugly and dont fit in. Well I have to tell you I have seen many uglie properties in need of work so I wish people would worry about them instead. No , I did not collect names when people approach me because I politely walked into my home away from them. Before I had my front doors put on someone had the nerve to leave a pile of a large amount of dog poop on the floor in my living room , no I do not know who because my electric is not on yet or I would have had my cameras running. Also as soon as I empty my construction dumpster the community feels its their private dumping ground, which is on private property and costs 200 dollars to empty. I did catch two people in the act and have video and tag numbers that have been reported and dealt with. So let me ask you do you consider this a welcoming feel for someone moving into town? I am so very sorry this happened to you. I was at the meeting when you spoke and it was very upsetting to hear this. It’s unfathomable to me that people can be that mean. Please know not everyone here is like that, and Safety Harbor really is a wonderful city. Thank you for telling me your story, albeit a terrible one. It is a shame that many of our City Leaders and those in positions of power do not feel so sorry. One of our current commission members told an owner of a newer home that his new home destroyed the character of the community. This non sense has to stop. Our Commissioners are to be for all the people of Safety Harbor, not just those who are like minded. You don’t have to leave – Rachel and I can be your friends too! We think those homes are great and walk our Yorkie by them whenever we stop downtown for coffee. One of your neighbors has some cute pups that are sometimes in the front yard and we’ll get to say hello. Hats the best part about having those homes right up to the street is that we’ve gotten to interact with the homeowners! thank you, i love that the homes are close to the street, I love seeing the dogs as they go buy. Yes my neighbor has wonderful dogs and they are nice people , they are the reason I moved there. I absolutely love your home from the outside. Amazing. As a realtor and lover of homes of all types and sizes I would love a tour. I really hope you are not moving because of some mean and nasty people who are somewhat touched in the head. You are a good person and an asset to our community. Riddler; Thank you for asking. As a matter of fact, yes, with my own eyes I have witnessed Shelly Schellenberg and David Riggel rummaging around on Iron Age building sites during early construction, a tape measure in hands and going through the permit box. To this day, I hate myself for not having my cellphone/camera on person that day because they were committing a prosecutable offense..
City board members on Code Enforcemment and Planning and Zoning committing illligal acts in areas they are supposed to be guarding. Nice. Also, on another home site where insults and hate was spewed, the home owner recognized Sharron McAuley. Thanks for the update. I most certainly do not condone this type of behavior or understand it. I am not certain Janet Hooper is not aware of the because I know she would not support this either. I will pass this information to her. Unfortunately, not all supporters of our candidates behave in a respectful manner. I have gone on record asking all candidates in this spring’s election to condemn and disavow Saving Safety Harbor for its divisiveness and hate. Ms. Hooper would show me a lot if she would do just that. Riddler, Saving Safety Harbor Facebook page, Shelley Schellenburg, David Riggles and Sharon Mcauley go around spreading information that is not correct and use scare tactics as seen in the past on their Facebook page. Individuals such as Diane and others have been very brave to speak out. When others have tried to correct their incorrect information that is when they get even nastier. My name as well has been plastered on their Facebook page in a negative way since I have tried to correct their incorrect information. When individuals try to speak out on truth, post correct information on their page, this information is deleted and the individual is blocked. What does this tell you about trying to get correct and truthful information out? It is a known fact that every commissioner and the mayor are very well aware of the Saving Safety Harbor Facebook page and its owners as they all have received numerous emails and in person discussions on it. People are tired of what they represent and have started to speak out against their tactics. 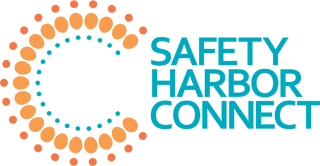 As previously indicated above, challenge any and all candidates for this spring’s Safety Harbor City election to condemn and disavow Saving Safety Harbor and bring peace back to the city. Their Facebook page needs to stop. Candidates who allow their candidate election sign to be posted in these individual’s front yards just support and are part of the nastiness that this site has brought to our city. Hmmm, I am now in a quandary as Shelly has categorically denied snooping around the new Iron Age properties with her husband. I have to say, that doesn’t seem quite like her style. What would be the point in that anyway? It’s hard to decide whom to believe these days. Obviously someone is not telling the truth. Pleased to know you aren’t the culprit behind Sprawling because that is one hateful, spiteful and malicious FB page. Posting someones home address on a public FB page is an agregious invasion of privacy and is dangerous. While I may not agree with Shelly’s approach and presentation, she does post facts, albeit facts that may be peppered with some hot sauce. 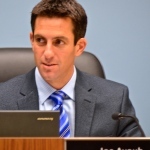 No one is viciously attacking Joe Ayoub as Sprawling is doing to Janet. Mention of Hitler? Really? These attacks are unfounded, unnecessary, and I believe are going to hurt the Ayoub camp more than the Hooper camp. Of course, this is only my opinion. There is a way to present your ideals and opinions in a positive manner without slinging barbs. All of this hatefulness is so counter productive, and senseless, and what does it accomplish? Riddler – yes it was Shelly and her husband going thru the plans in the permit box. I remember it like it was yesterday. It was a Sunday morning. We even reported it to the builder, the homeowner and mentioned it to the Mayor. Why would we lie about something like that? Again, wish we had our cell phones with us and trust me we don’t let that happen anymore. We are not Sprawling Safety Harbor. Heck, I have to call my niece over to show me how the settings work on my personal page. We are not very tech savvy:) And I agree, posting an address should not happen. Shelly posted a photo of our house with the address but then that is Shelly. Karma, I truly believe in Karma. Merry Christmas and Cheers to a Happy New Year! Fear of retribution, and I think I am able to communicate better anonomously. I don’t plan on making hateful statements because that’s not my nature. I just want the truth, and factual information promulgated. I am, however, very inquisitive so I do ask questions, and very much appreciate the responses. Hope that answers your question. Thanks! Well it looks like another FB page has cropped up and it’s throwing some pretty nasty barbs in the direction of Janet Hooper. Why can’t we all just support our candidate in positive polite manner, promoting each of their attributes in a truthful manner? If you can’t say anything nice don’t say anything at all. I know it’s hard to practice this, but it would be great if we could give it a good all American apple pie try. I can’t quite figure out Sprawling Safety Harbor, but I guess it will be doing battle with SSH. Dueling FB pages. Good grief, just what we need here in Safety Harbor. Animosity is already at a high level, we don’t need these sites to further fuel the fire. All the negativity really saddens me, as if we need more of that in the world. I thought the last election season was bad, but this one looks likes it’s going to be even worse. The candidates themselves behave (thank goodness), but their supporting cast members do all the dirty work whether they like it or not. It disgusts me. Maybe FB will take their pages down. We don’t need to see, read or hear this nonsense. Let the voters make a decision on the real character of the candidate, what they stand for, not what FB page supports or disparages them. For goodness sakes why can’t we all just get along? So much for good tidings at Christmas time. Riddler – I believe we could get along if it was not for Saving Safety Harbor’s page. It is a cancer. You have no idea how much community ill-will this page has generated. Or maybe you do. We were the first to be vocal on other sites because no one can defend themselves on her page. She deletes the comments and bans them. We were starting to think “is this the real Safety Harbor?” But so many nice people contacted us and said “thank you” for speaking up. They too felt the same disgust but were afraid to say anything for fear of retaliation. In a way we should tell her thank you because we have finally met true representation of Safety Harbor and consider them wonderful friends. So I can totally understand others taking to the Connect and other FB pages to fight back and defend their name. Sad but a fact. I just dislike all the animosity, negativity, name calling, and all the other stuff that goes on. It makes no sense and is so counter productive. I wish we could just agree to disagree because our views are different, and carry on. I think most people are decent and kind, and the meanies are few and far between. Unfortunately, they have very loud voices. It’s such a mess. As I have said repeatedly I wish we could all just get along. Riddler – and that is how it started. We said let’s agree to disagree (about the new townhomes being built) and then all the code enforcement calls came down on us. Coincident – don’t think so. Longer story but that is the nuts and bolts. Merry Christmas and Happy New Year! Janet Hooper runs a non profit neighborhood center. She has worked every day for years to improve the lives of underprivileged children and families in need in Safety Harbor. She has helped hundreds of families and thousands of people and provided food clothing, shelter, basic necessities that youall take for granted, but they don’t have and wouldn’t have if it were not for Janet’s tireless efforst. The Center provided Christmas meal for families and gifts for children who would have had nothing, if it was not for the work that Janet and the family center does. To compare her with the evil Adolf Hitler, killer of millions of innocents, is extremely horrifying, especially during this holiest of seasons. Asll of the people who are responsible for this anti Semitism on this the sprawling website should be ashamed of themselves. You all know who you are and you all know who is responsible. You should just keep your hate to yourselves, and I will pray to God that you do. I have to say I agree, Sprawling is one nasty FB page, however, I am not certain who the mastermeanie culprit(s) behind it is, but they are really quite vile and vicious, unnecessarily so. What is the point of all of the nastiness? What purpose does it serve? I certainly don’t think it’s harming Janet Hooper if that is the intent. As a matter of fact, it could actually be helping Janet in the sense that people are seeing the nastiness and are disgusted by what Sprawling is saying. It most definitely pushes to favor and vote for Janet Hooper for Mayor. Thankfully the page doesn’t have many likes and minimal posters, only the originator. There is nothing to be gained with this type of negativity, so maybe the only impact it will have is to make the originator feel better. Well riddler maby you should look at the owl picture on sprawling that shelley (who I dont know) put my name on and pulled a wooden owl picture from my facebook page while using my name before I was married, I got to read all the nasty remarks from citizens of how a owl have lost his home because of my home. When she was called out on it she went and erased my name and all the remarks to cover her tracks and banned me when I defended myself. You can see the same picture now on saving SH and compare the two . You will see my name off the picture now but sprawling screen saved it with the name intact. Take a look after you read this post and educate yourself. This was the final act that made me so mad I had to speak up at the last meeting. She accused me of creating a fake FB page to post on her page and said she erased everything when she discovered my page was a fake and my page has now been deleted (it is still active) so another lie. Well I have had this page since 2009 and I use my married name at all city meetings . She knew the two names were the same person otherwise she would not have pulled my picture from my castillo page and link it to the Iron age property (so she knows the facebook page was not a fake) . This is just one of multiple online acts I have had to read about me and my home and I am tired of it. Her page does nothing but bully people and they are blocked from defending themselves because she knows she is in the wrong. She can say what she wants but not while sitting on a city board. By the way Joe bought his ticket late and couldn’t have it go to safety harbor from what I am reading. A lot of the things have been erased and I am sorry I don’t know how to screen save but have someone now that does. Lucius Fox – Totally agree – no one should be compared to Hitler but don’t blame the names you mentioned above. It is not us. Do your due diligence before you blame someone for creating a page. Funny how the same names above are always blamed. You will be amazed how many more are sick and tired of Shelley Schellenberg’s Saving Safety Harbor FB page blasting fellow neighbors and SH citizens. And we know she is the creator and pretty soon so will several other cities. We did our due diligence. Thank you and Happy New Year! Desanya Daly, your threats and nasty comments about me are recognized as total BS by the people who know you. You threaten: “so will other cities”?–like other cities care about your rants? Anyone who knows both of us, are quite aware that you are the liar. Your neighbors may be afraid of you, but I am not, and I will continue to tell the truth about you, so long as you keep telling lies about me. Oh by the way…it was clearly your style to call one of your neighbors “trailer – trash” on the March 10th Not-So-Smart GROWTH facebook page. (Your neighbor called you out because you put a snotty letter on an elderly woman’s windshield who was attending a funeral at the church) You later edited your own comment, but your true feelings about other people shines through on the page that claims to be so neighbor “friendly”. You said: “It’s all about money in Safety Harbor”…but it’s obvious that your money has not bought you any class. Your elitist attitude is sickening…you have posted dozens and dozens,( literally more than 100) nasty and untrue postings about me and Saving Safety Harbor. Why are you so obsessed? Why don’t you get a life?